what would you say to your pre-diagnosed self? 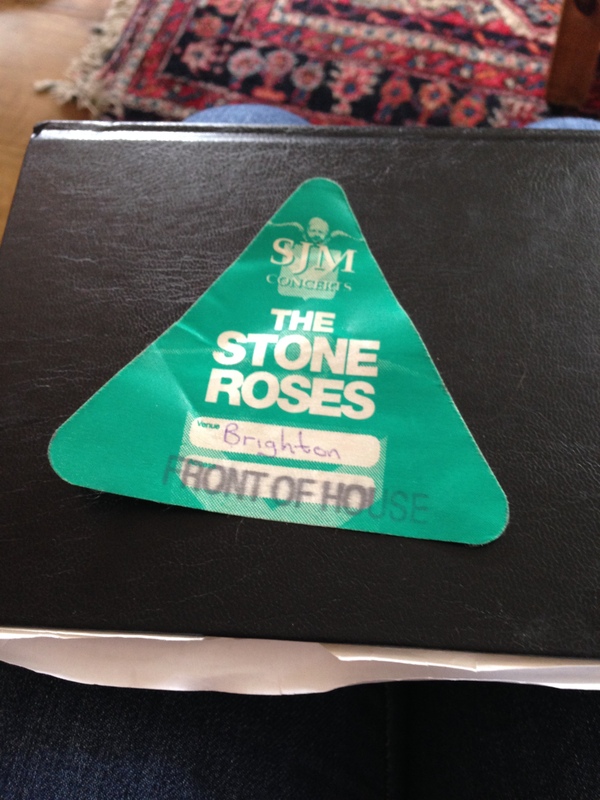 The other night I watched a film called “Made of Stone” about legendary band The Stone Roses, directed by Shane Meadows. It was a nostalgic journey back in time and I loved it! I missed The Stone Roses when they first came out in 1989 as my friends and I were consumed by Guns N’ Roses at the time. I was introduced to them a few years later at university by an Asian ‘Manc’ hippy called Maj. Anyway, all this got me thinking about my 19 year old self, listening to The Roses and floating around London like the world owed me a living. It never occurred to me that I would be anything other than fabulous for the rest of my life! I remember seeing them live at the Brighton Centre in the mid ’90’s, dancing all through the gig, going clubbing afterwards and walking home at the end. 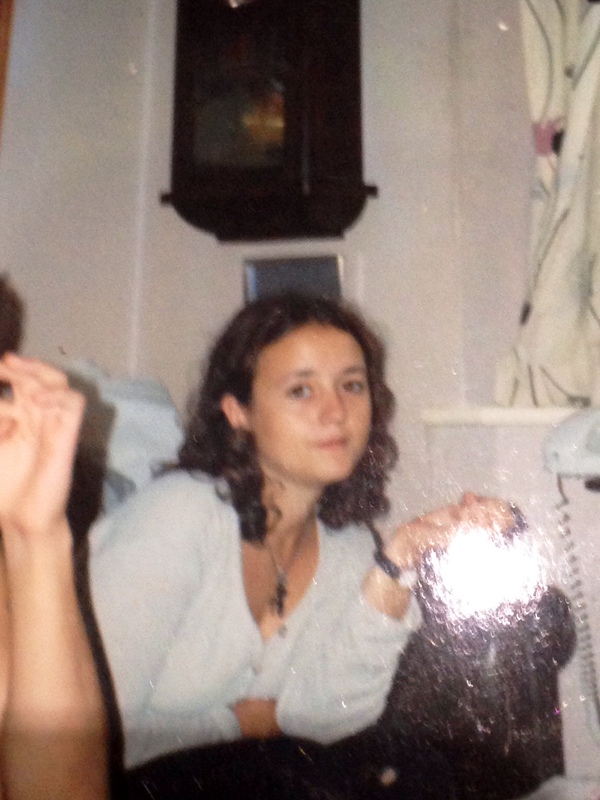 What would I say to my 19 year old, pre-diagnosed self? What would she think of her (nearly) 39 year old self, hobbling around on crutches and tripping over flat surfaces? Would she listen or would she turn away, horrified, as if confronted by a 19th century freak show? Knowing her as well as I do I don’t think she would listen. I think she’d be far too self obsessed and anxious about missing whatever “good time” I was keeping he from but how would I make her listen? What would I tell her? Firstly, don’t smoke! She started when she was 16 because she thought it would make her look older. Ironically, now that she’s (nearly) 39 it probably does! There is loads of new research that’s found smoking can trigger MS and increase progression. If I’d never smoked would the sleeping monster have been awakened? Would I have started experiencing symptoms 10 years later? I’d also tell her to eat properly! There is also loads of research about diet and MS and how eating the right foods can heal cells and ultimately help with MS and other diseases. I’d tell her to stop eating “stripy blue” value bread from Tesco, learn to cook and spend money on food instead of rubbish with the nutritional value of the box it came in! I’d tell her to take Vitamin D with a strength of at least 5000 IU. No brainer. I’d also tell her to knuckle down and get a career and build some financial stability! Her (nearly) 39 year old self has done OK but would have done better if she’d known working would be such a challenge as MS got it’s claws in deeply enough. I wouldn’t tell her to stop having a good time though. I’d tell her to carry on building awesome memories to giggle about when she’s old and crippled! Anyway, I wonder what my 19 year old self would say back? Possibly the following. ← Fatigue busting with the Wahls diet!